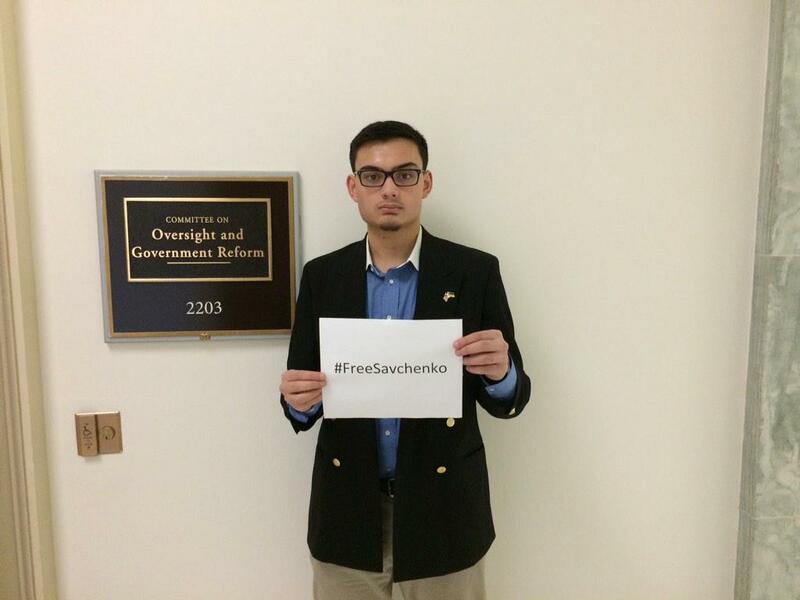 George in Washington, we love what you’re doing to help #FreeSavchenko! George in Washington is carrying on a one-man #FreeSavchenko campaign in front of significant US government symbols of freedom, independence and right governance. In doing so, he reminds government workers and leaders of the international significance and importance of the work they do in giving citizens a voice in their governments, something that’s been taken from illegally imprisoned Ukrainian Armed Forces pilot and now Member of Parliament, Nadiya Savchenko who is on her 7th month in a Russian prison in Moscow, and today marks her 35th day on hunger strike in protest of the false charges laid against her. Please see here for full details on Savchenko, and sign the PACE petition. Please see here for full details on the #FreeSavchenko January 26th campaign. If you are a government worker like George in Washington, please tweet a photo in front of a symbolic icon in your city/town/village to #FreeSavchenko on or before January 26th. But you don’t have to work in government to do it, everyone please send images through the circuits–one million strong–in support of an innocent woman ready to die for her country and for freedom. Silence is killing her, save her life! And these are the tweets from George in Washington that so inspire us and hopefully will you too! Keep going George! DC agrees that to support human rights and international law we need to stay #UnitedForUkraine & #FreeSavchenko. 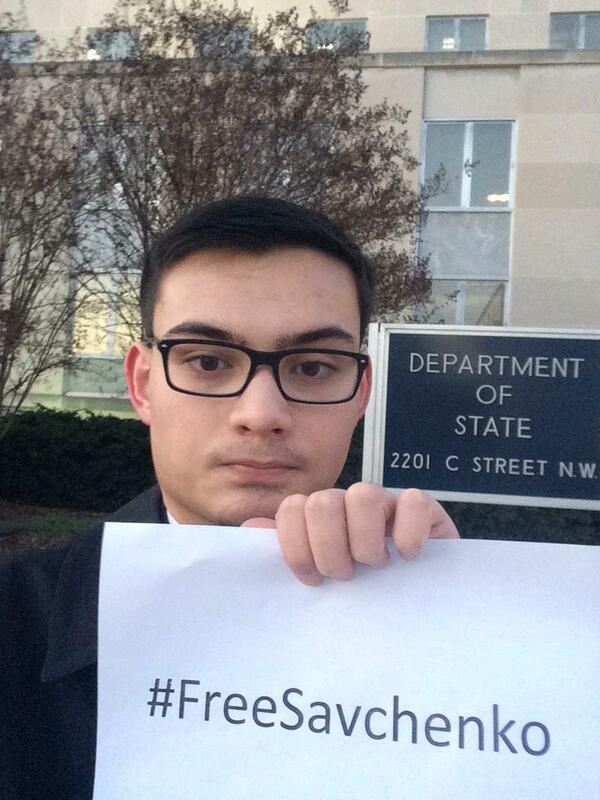 Here at the @StateDept to urge @JohnKerry and @BarackObama to help #FreeSavchenko. Harsh warnings are NOT enough. This entry was posted in "Voices" in English, #Free Savchenko, English, English News, Petitions, Pictures, War in Donbas and tagged #FreeSavchenko, #RussiaInvadedUkraine, #StopRussianAggression, #UkraineUnderAttack, Ukraine, Washington. Bookmark the permalink.